Athena and owner Savannah Budzinski in the first over fences class. Athena, owned by the Budzinski family of Portland, Oregon, brought home numerous blue ribbons and the division Reserve Champion for 4/5 Year Old Hunters at the Early Summer Classic Horse Show. 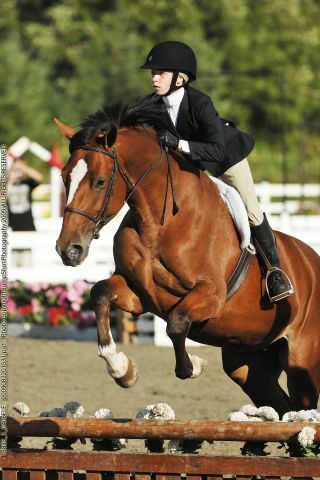 Athena is trained and ridden by Darci Gilliand at Zona Farms. Congratulations to the Budzinski family – we join them in being so proud of Athena at her very first show!